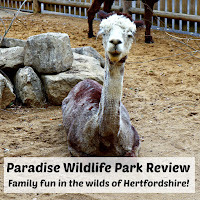 Recently we travelled a little further afield than our usual Bristol haunts, to review Paradise Wildlife Park, which stands on the old site of Broxbourne Zoo, located in Broxbourne, Hertfordshire. 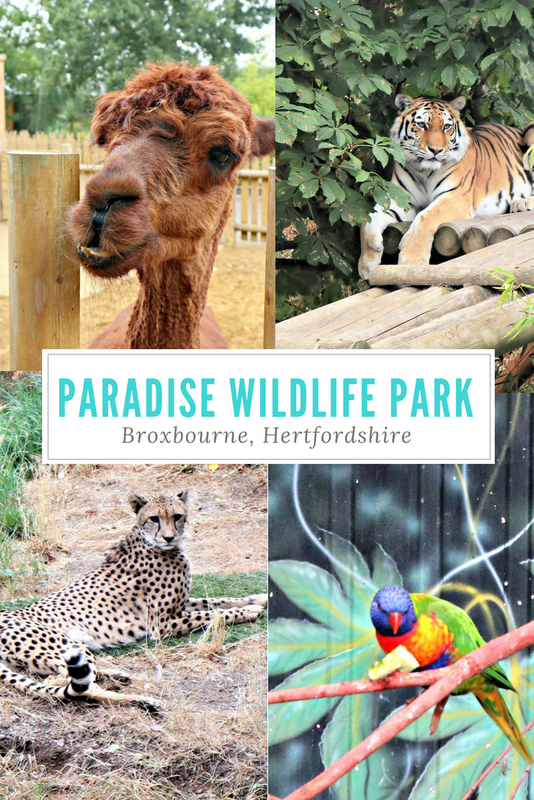 The site was purchased by the current owners in 1984 and has been transformed in this time, building up an impressive array of animals, from big cats to tiny birds, alongside some carefully considered facilities, altogether providing a fun day out for all the family. We received free entry, in return for my time writing this review. All opinions are my own. On arriving at the park, despite it being the summer holidays and the annual visitor toll being in excess of 300,000 guests, we had no trouble parking in the ample free car park and there was no queue to get in. The toilet and changing facilities were really clean and well thought out, with disabled toilets featuring either left or right opening doors. The layout was easy to navigate and the whole place felt spacious and pleasant to walk around. There were lots of different play areas for children of all ages, ranging from huge slides, to this really fun make-believe area, including a gypsy caravan and real-life fire engine, which was in active service until its retirement. 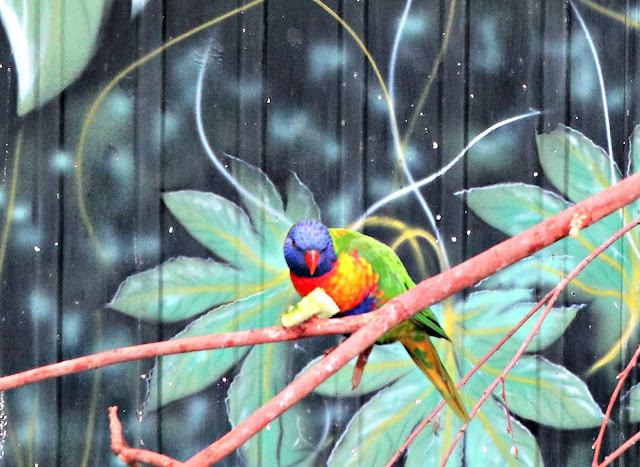 The first animal area you come to is the Birds at Paradise exhibit. There are many different species of all shapes and sizes, from the tiny lorikeet, to the huge harris hawk. The cages surround a picnic area, perfect for a quick pit-stop, or perhaps to come back to for lunch. There are several picnic areas in the park, which is great if you don't have the budget for the onsite restaurants and useful if you are travelling with older relatives or small children who might need more frequent rest stops. 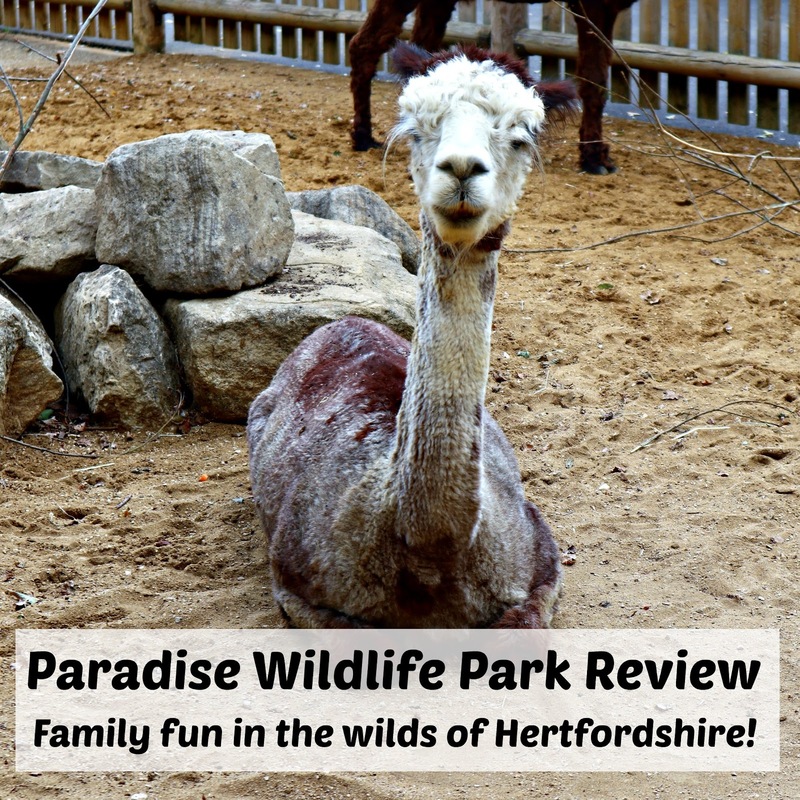 There are many other animals at Paradise including a farmyard, where you can feed goats, guinea pigs and other small, friendly animals. In the Outback Trail, you will find favourites, including meerkats, camels, emus and alpacas. 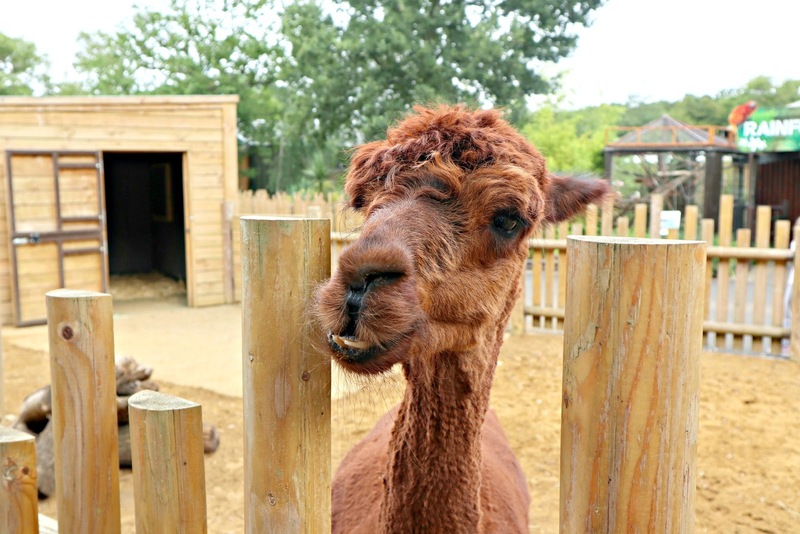 You can get pretty close to them, too, especially the alpacas! 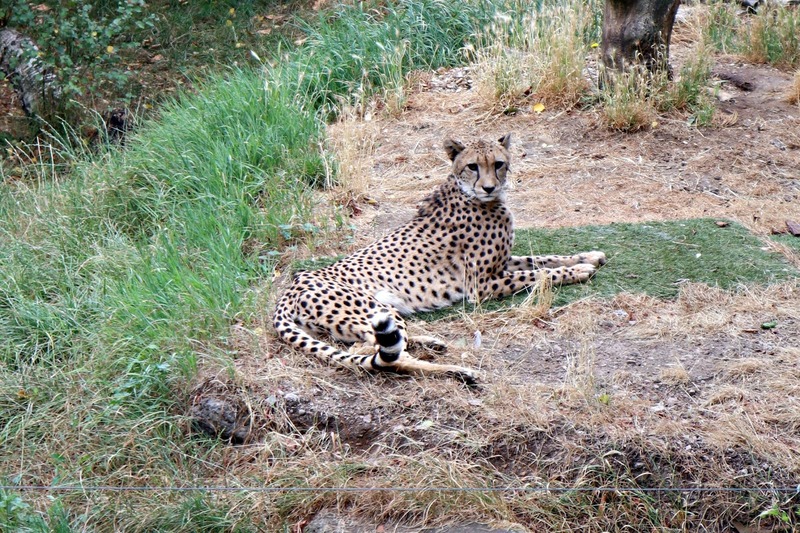 There are lots of other animals and zones to wander around, too many to mention, but the best part for me was the big cats. The park boasts an impressive collection of big cats, with no less than seven species and an award-winning breeding programme. The best part is, the enclosures are surrounded by elevated walkways, so you can get a really good view of the animals and take some great photographs, which is something I often struggle to do at other zoos. 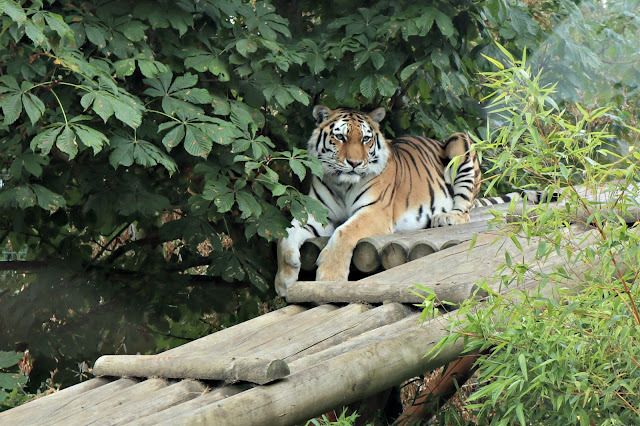 The Tiger Treetops cafe offers the best view of the tigers, with a huge viewing window looking out over their enclosure. I took this photo (which I've enlarged) from Treetops. I love his paws! day to check that out. Here's a video, which shows some of the life-size animatronics in action. Overall, I was surprised at how much there was to do there and wish I'd had more time to spend. It's definitely worth a visit, particularly for a family day out with assorted ages, as there's something for everyone.